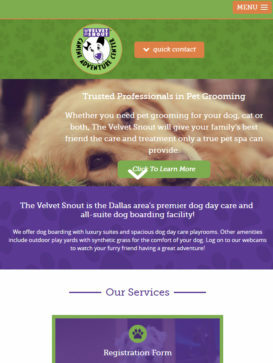 Velvet Snout Canine Adventure Center specialize in dog day care (“doggie day care”), all-suite dog boarding, dog grooming and bathing and dog training in a fun and caring environment. 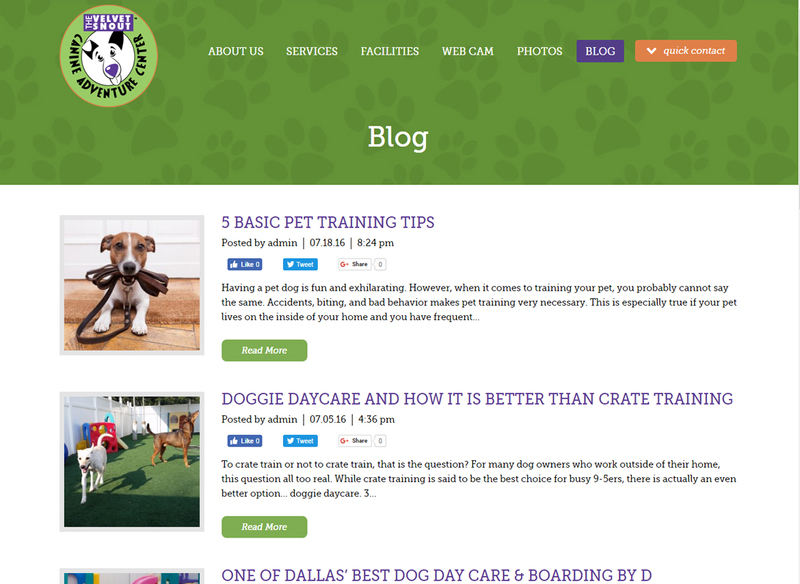 Dog day care offers a stimulating social environment as an alternative to leaving your dog home alone or crated for long periods. 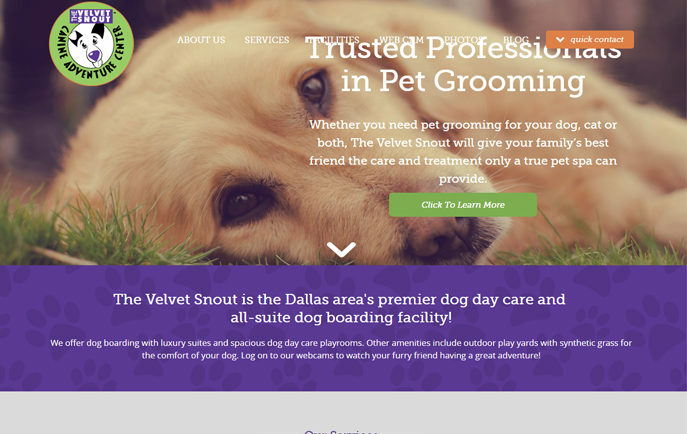 At The Velvet Snout, you will find large play areas with dogs separated by size and temperament and an experienced, professional staff committed to making sure each day at day care is a fun adventure for your dog. 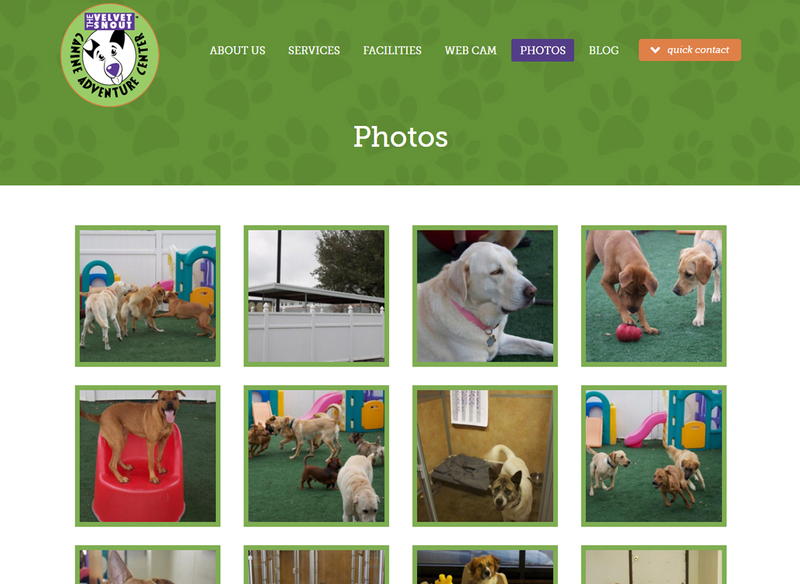 Our facility offers a clean and healthy environment for your dog to play and learn to be with other people and dogs. We provide special care for your dog when you have to be away. 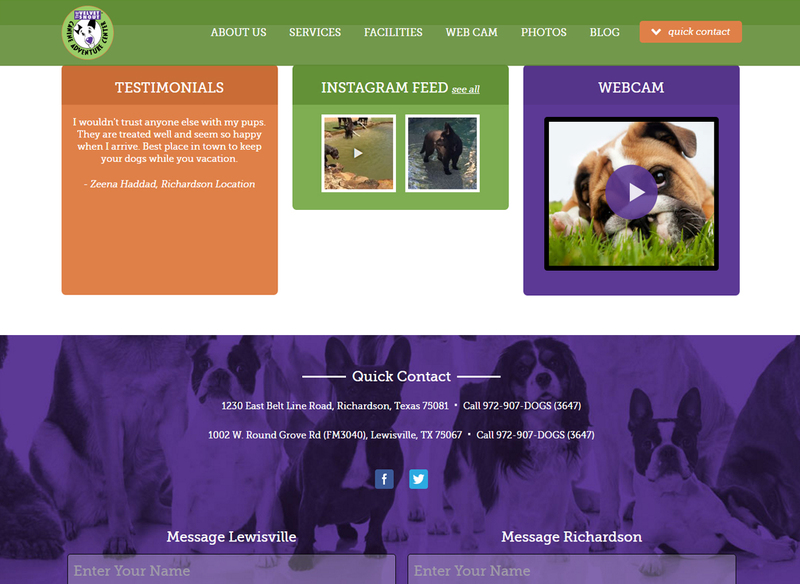 An onsite webcam lets you check on your dog while in dog day care from any web browser. Guests at The Velvet Snout Canine Adventure Center must possess a temperament that allows staff members to care for them. Allowances may be made for specific temperament issues, but to take part in our dog day care, the pet cannot pose a danger to staff members.